Ever since we first opened our doors to the public back in 1985, our team of experienced Bowie painting contractors here at Annapolis Painting Services have been proudly providing our full line of exceptional quality services to home and business owners throughout the local area. Our team of professional painters have the training, skill, and experience necessary to help you achieve all of your painting goals for your property, no matter how large or complex they might be. Whether you have a single story residential home that you are looking to apply a new coat on, or a large commercial space that needs the entire interior painted, our team of experts are up to the task. In addition to our exceptional painting services, our team of experienced pros can provide you with a number of additional services, including carpentry, pressure washing, roofing, siding, hardwood flooring, and more. For over thirty years, the one constant in all of our work has been our goal to make sure that each and every one of our valued customers gets exactly what they need from their project and that they are 100% satisfied with the results of their work. We understand the trust you are placing in us when you hire us to perform the painting services you need for your home, and we always aim to make sure you never feel like that trust has been misplaced. If you have any questions about our full line of high quality painting services, or if you would like to schedule an appointment for consultation with one of our specialists, give us a call today. Our team of experts are always standing by and would be more than happy to assist you in any way we can. In order for you and your family to get the most from your home in terms of enjoyment, your interior living spaces should be a reflection of your unique tastes and style, and there is no better way to make it so than by investing in a brand new, high quality interior paint job for your Bowie home. 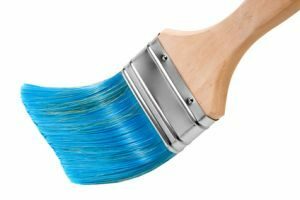 A high quality interior paintjob can go a long way to making the interior of your home more enjoyable and comfortable, but it can also boost the overall value of your home if it is done right. To ensure that you get the kind of quality you need for your home’s interior paint job, you want to be sure that you hire the team of professionals that you can count on to do the job right the first time through. Here at Annapolis Painting Services, you can always count on our team of experts to get the job done with the same level of quality we would want on our own homes. Hardwood flooring is one of the most popular flooring options all across the country, and for good reason. The amount of beauty and value that you can bring to your home with a brand new hardwood floor is simply astounding, but hardwood flooring requires care from time to time in order to keep looking its best. This is where we come in. Here at Annapolis Painting Services, our team of experts can help you restore the natural beauty of your hardwood floors and help you make your home look like new once again. If you are looking for a professional painting contractor in Bowie, give us a call today at 410-974-6768 or fill out our online request form.